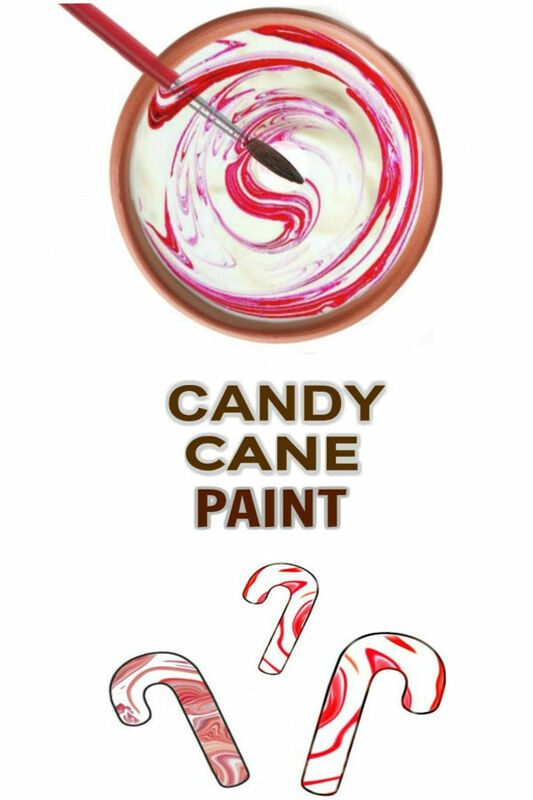 Using just a few ingredients from your home you can make this amazing candy cane paint, and it's unlike any that you might find in a store. It is fluffy and swirled and smells just like Christmas! 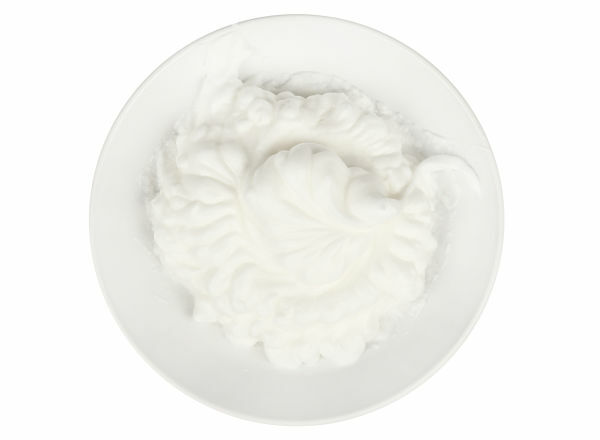 Fill a large bowl with the desired amount of shaving cream. 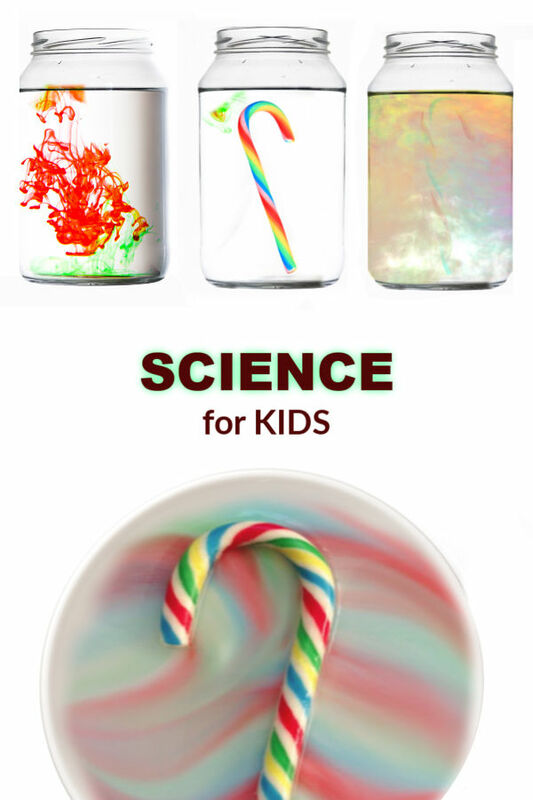 Add a few drops of peppermint extract if scent is desired. 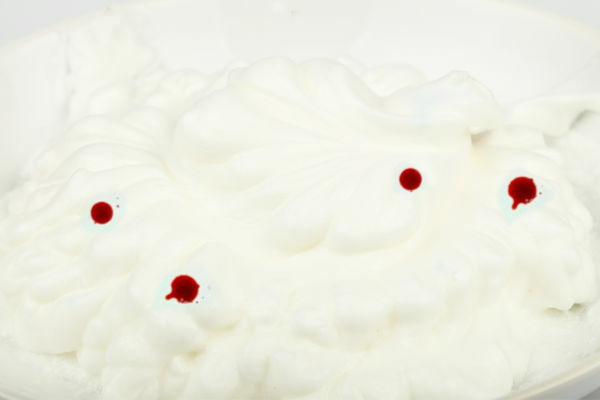 Then, add a few drops of red food coloring to the shaving cream, spacing the drops along the surface. 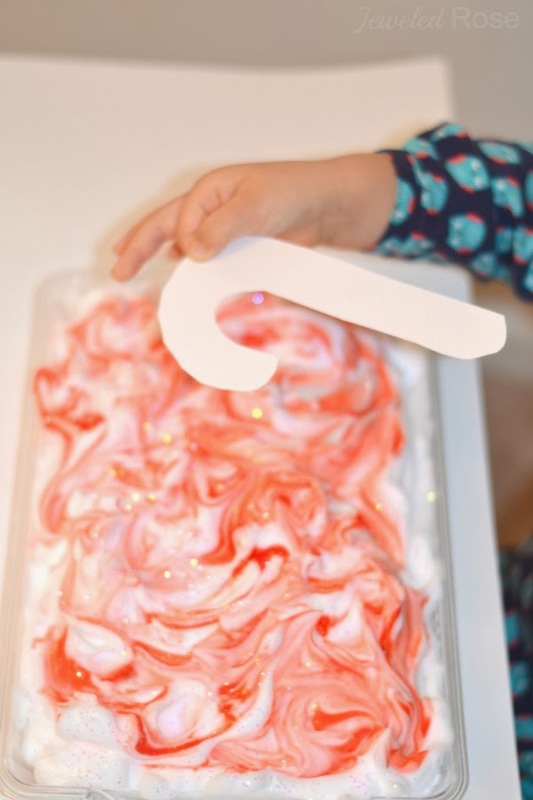 Using a craft stick (or similar) carefully swirl the red food coloring into the shaving cream to create a candy cane effect. That's it! So easy and so cool, right?! Finish the paint off with iridescent glitter if desired. 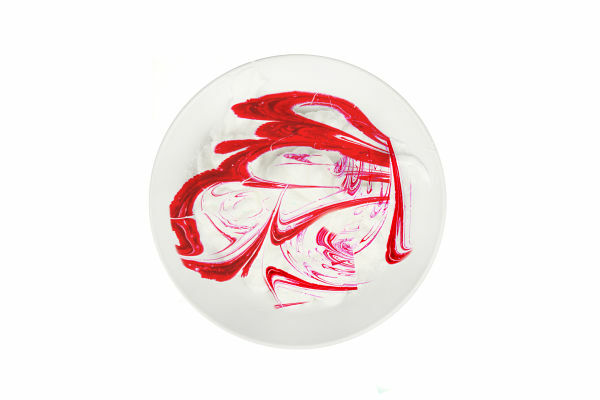 Kids can use this paint to create all sorts of works of art. 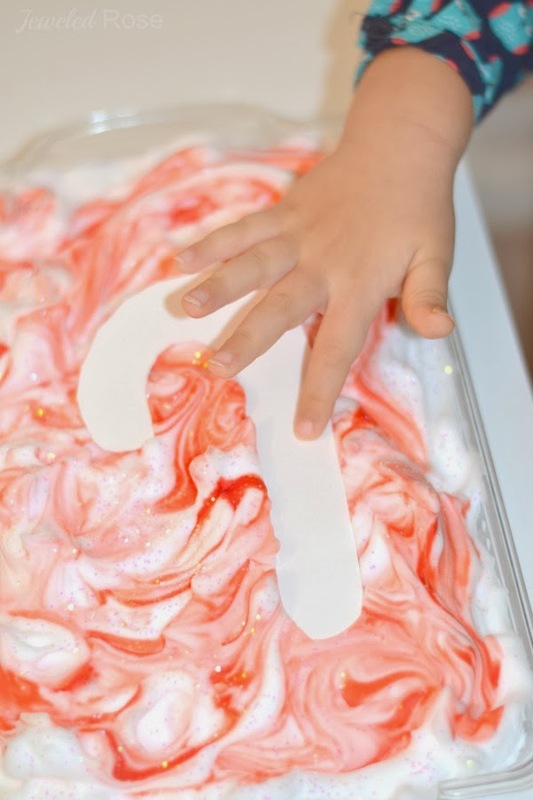 Fill a shallow container with shaving cream, and make the candy cane paint as instructed above. 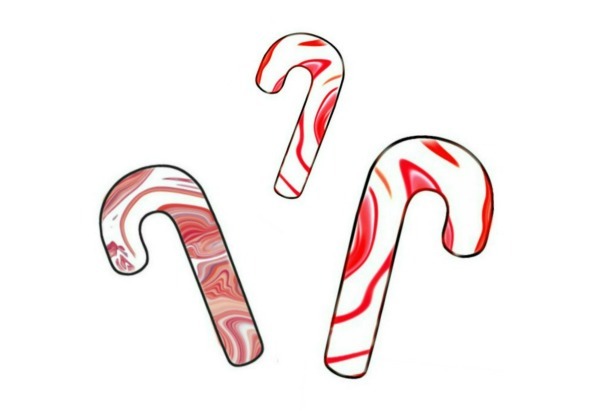 Then, give kids candy cane cut-outs. 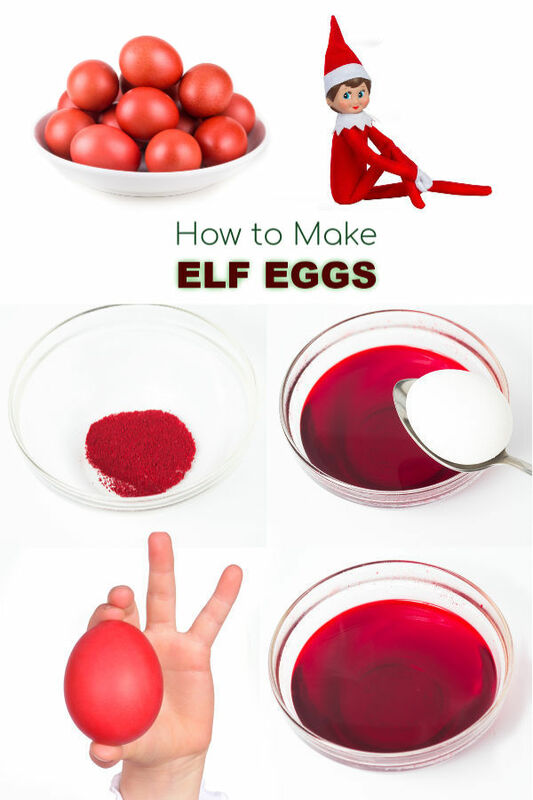 Have them gently place the cut-outs in the paint and press down. 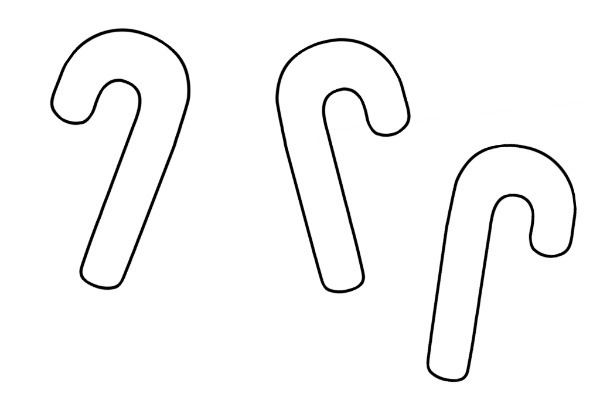 Allow the cut-outs to sit in the paint for a minute. 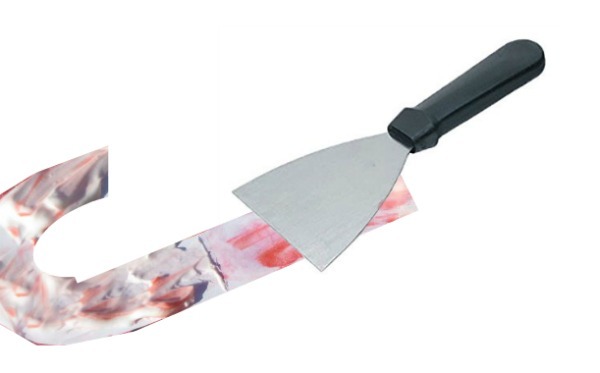 Then, remove them and carefully scrape the excess paint from the cut-out. Repeat the process on the other side of the cut-out if desired. 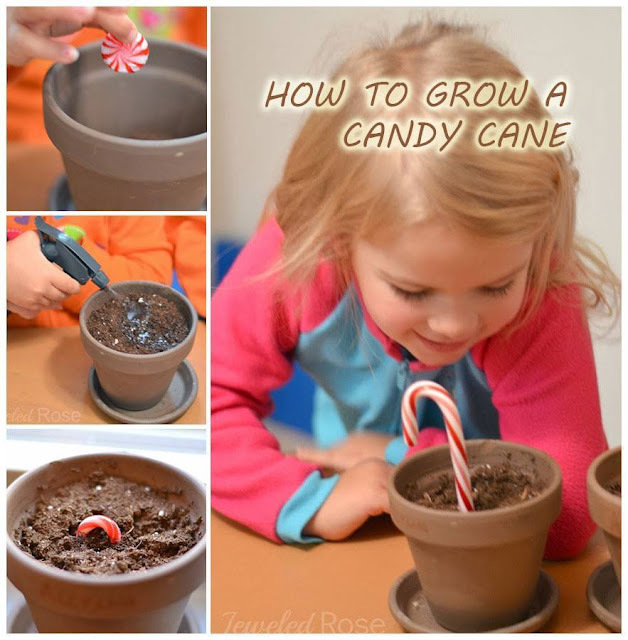 Then, leave the candy canes to dry. 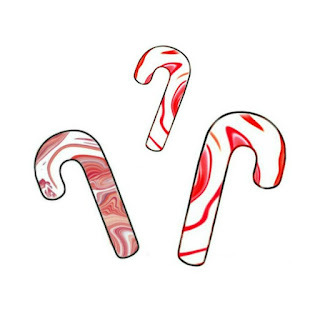 Once dry you will be left with beautifully swirled candy canes that smell just like Christmas! 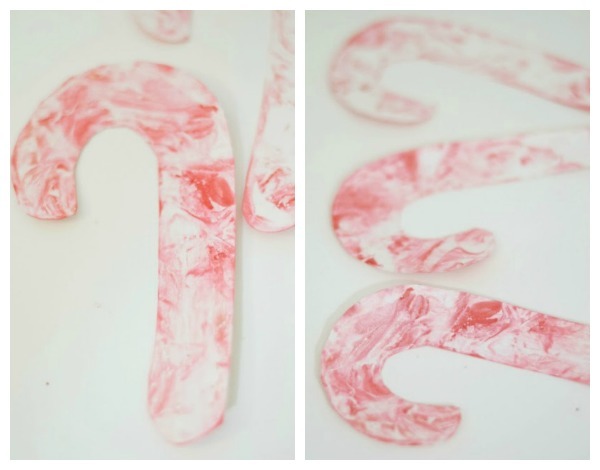 Once the candy canes were dry I strung them into a beautiful garland and hung them in our home. 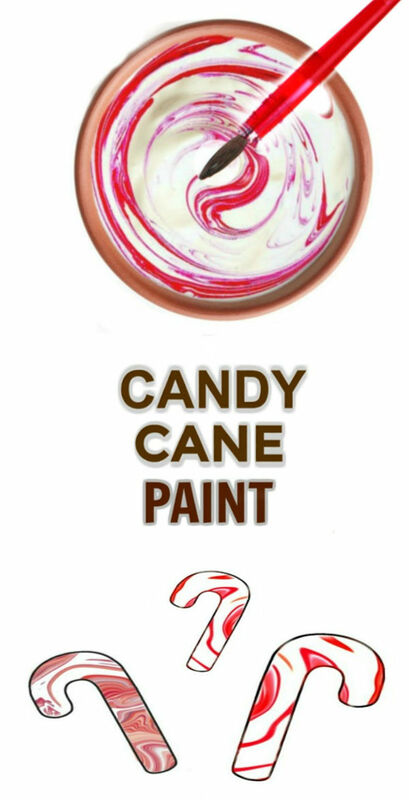 This candy cane paint is also great for sensory play & exploration. 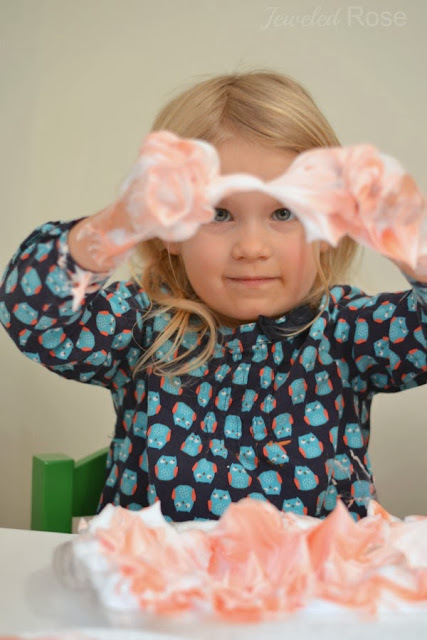 Once we were done making our garland Rosie had a blast playing in the left over shaving cream!